I was down in Virginia Beach for a sports tournament in early spring. 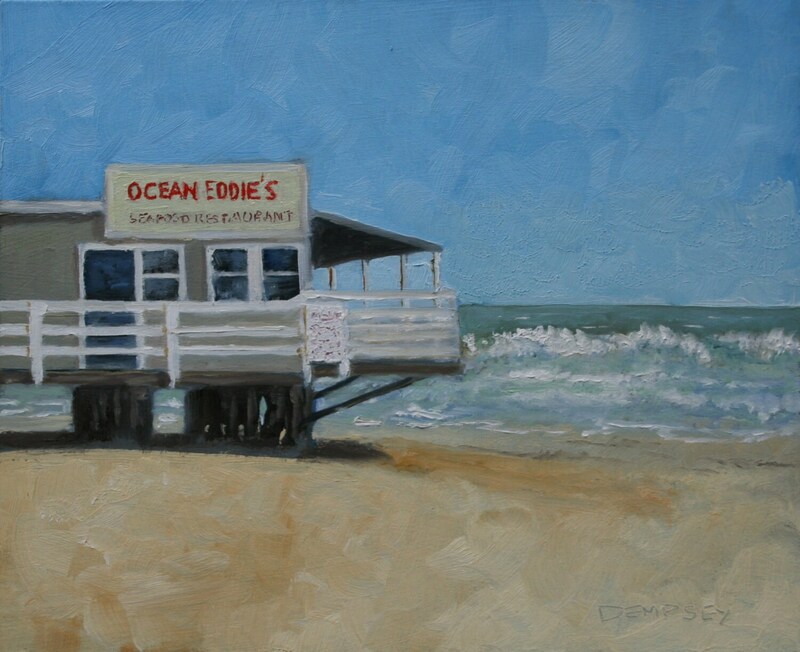 During one of the breaks in the action, I took a walk down the Boardwalk and snapped a picture of Ocean Eddie's. This restaurant could not be better situated. It's on a pier that reaches out into the ocean. It sits right over the beach. Unfortunately, it was closed while we were there. I would have liked to try it. I'll bet Jimmy Buffett would have been mixing the margaritas at the bar. Naturally, there is only one copy of the original available. However, multiple copies of the print are available.